With the close of the transfer window yesterday, Milan fans breathed a small sigh of relief. Well it would have been bigger, but we’re just not certain yet. 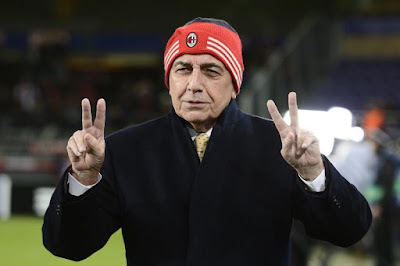 You see, that should have been Galliani’s last mercato. The last time he had absolute power over Milan’s transfers, the absolute power he had created for himself over the years. So fitting that not only did La Gazzetta dello Sport give our mercato the lowest rating of all of the Serie A teams, but that his last transfer would expose him for who he really is. There’s nothing like going out in a ball of flames. But for Milan fans, I think we’re mostly just hopeful that he’ll actually be moving on. 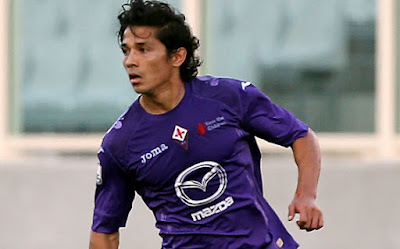 So Pablo Cosentino is the former CEO of Catania, and he had previously been arrested and served a ban for match fixing. He is an Intermediary and apparently a close friend of Galliani’s and it is reported that he helped him close several deals this summer like Sosa and Gomez. So because of these statements, everyone is talking about Galliani and his “criminal friends.” Well I’ve got news for you people, there are a whole lot of people in the football world who would be called that if everyone knew their past. Like his “criminal friend” Preziosi, who served a lengthy ban, to which much of Milan’s transfer funds have gone to in recent years. Or how about Galliani himself? His role in Calciopoli alone as well as his watered down punishment puts him in that category. Let alone all of the other times he’s been accused of other crimes both financial and sporting. Why single out just his friends? Why does the title of criminal not fall appropriately on his shoulders? Because the trophies in Casa Milan are polished too often to see the tarnish? Let’s just be honest here. Why wouldn't Mati pick a bigger, better club? Nothing criminal about that. But the Fernandez deal wasn’t all about criminals. What is so strange about a player wanting to reunite with someone who coached him for three years (or vice versa)? Why is it so strange that, despite having agreed to join a newly promoted side, when a 7-time Champions League winning team (albeit a lot worse for the wear) calls, don’t you take that deal? Without even thinking? Cagliari are obviously upset, as they should be, but the implication that someone who served a ban for matchfixing was the reason a player chose to play at a much better team with his former coach is quite ridiculous. And Milan have issued a public statement denying Cosentino’s involvement anyway. So fitting, though, that our very own Legend Condor Criminal of a Sporting Director CEO Virtually Omnipotent Transfer Tyrant should finish his final mercato like this. With a laughable score from La Gazzetta, criticism from everyone, and being called out for his “criminal friends.” All for hijacking a player wanted by a newly promoted team. Pathetic. They say that eventually, everything you do good or bad catches up to you. And in his case, it’s unfortunately caught up with Milan, too. But with any luck, it will be his last mercato and all of us can look forward to moving on.